While it is true that beauty is the eye of the beholder, many of us still take those few extra steps to not only look beautiful but feel beautiful as well. 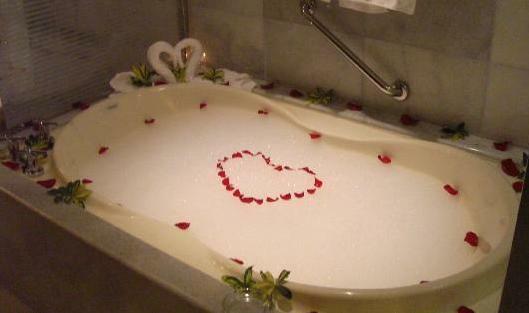 A little pampering goes a long way in making anyone feel extra special. This Valentine’s Day why not give the loved one in your life the gift that will make them look and feel amazing. The website EdenFantasys.com offers a variety of merchandise including luxurious beauty and bath products, as well as a skincare and makeup line-all with great ingredients with fun and colourful designs. To start, given that there are very few problems in the world that a good bubble bath won’t fix, why not try a one of the delicious collections of bath gels or bath salts. For the ultimate romantic, make sure to add rose pedal soap flakes to turn your bathroom into an oasis. Your Valentine can rub worries away with luxurious and rich products such as the very Valentine ’s Day appropriate The Happily Ever After Whipped Body Crème or indulge (guilt free) in Cake’s supreme body mousse. So this Valentine’s Day come clean about how you feel, and say “I love you” with suds.